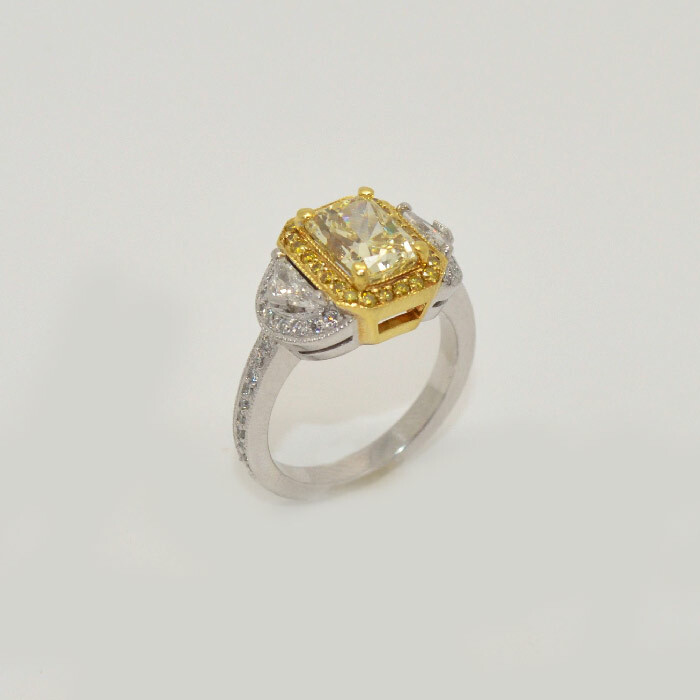 Fancy Yellow Diamonds .35 ct. 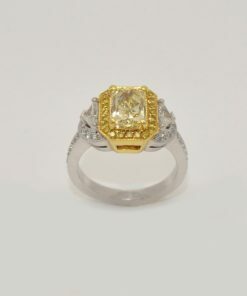 Platinum Diamond Engagement Ring. 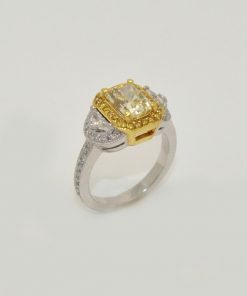 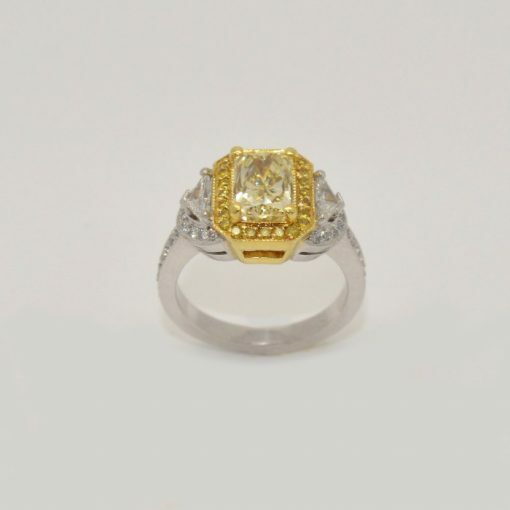 Center Diamond 2.33 ct., Side Diamonds .93 ct. and Fancy Yellow Diamonds .35 ct.